CALGARY, Sept. 28, 2018 /CNW/ - Petro-Victory Energy Corp. (TSX-V: VRY), ("Petro-Victory" or the "Company"), an acquirer and developer of oil and gas assets, is pleased to announce that Fifteen Talents LP ("Fifteen Talents"), a private equity firm that invests in successful leadership teams executing on outsized opportunities in well-vetted emerging markets, has accumulated 14.8% of the issued and outstanding shares of Petro-Victory (28,910,000 common shares) through open market purchases and two private block sale agreements with the Company's CEO, Richard F Gonzalez. Mr. Cotter commented, "Having invested eighteen months of due diligence in the Petro-Victory leadership team and its extended ecosystem of international partners, Fifteen Talents is delighted to join the Petro-Victory team lead by its Chairman and CEO Richard Gonzalez. The business plan, the Brazilian market cycle, and the pragmatic leadership approach fit perfectly with Fifteen Talents investment strategy. We are excited about the foundational blocks that are in place today and the bench of identified opportunities which will propel Petro-Victory's success in years to come." Richard Gonzalez commented: "I'm investing my life in this enterprise and there are very few people to whom I'd sell my stock. Chuck is a brilliant businessman whose experience in international energy and complex commercial structures provides a new element of expertise on the Petro-Victory board. Chuck does his homework and he has a real passion for the Brazilian pure-play niche we've developed. If selling a portion of my holdings is what it takes to have his brand of expertise and business acumen at hand, then I'll do it for the shareholders of Petro-Victory. I am looking forward to working closely with Chuck on the board of directors as we accelerate the growth of the company. " Immediately after the transaction, Richard F. Gonzalez will own 21,159,837 common shares and 57,135,746 restricted voting shares of the Company, representing approximately 26.89% of the issued and outstanding securities of the Company, assuming conversion of the restricted shares. The restricted voting shares are convertible on a 1:1 ratio into common shares at the holder's option. Mr. Burch's career in the international oil and gas industry spans 50 years. George began his oil and gas career in 1968 with the Marine Construction Division of Sedco, Inc. Rising through the ranks, George quickly became the company's Administrative Manager for the Middle East, based in Bahrain. Later, as a Vice-President within Sedco's construction division, George managed all company projects in Africa through1979. Ultimately, as Vice President of Sedco's Energy Division, Mr. Burch was involved with all of the company's oil and gas projects worldwide. George commented: "I'm not interested in many board seats at this point in my career, but we've known Richard for years. We've seen what he can accomplish, and it just makes sense interpersonally and financially to bring our resources to bear in this endeavor." Richard Gonzalez commented: "George brings to Petro-Victory a career full of successful worldwide project management and the relationships needed to execute. We are very fortunate to have him." Fifteen Talents LP is relying on the private agreement exemption as set out in section 4.2 of National Instrument 62-104 "Takeover Bids and Issuer Bids" to purchase Purchased Shares. An early warning report has been electronically filed with the applicable securities commission in each jurisdiction where Petro-Victory is reporting and is available on SEDAR at www.sedar.com. This press release does not constitute an offer to sell or the solicitation of an offer to buy, nor shall there be any sale of these securities, in any jurisdiction in which such offer, solicitation or sale would be unlawful prior to registration or qualification under the securities laws of such jurisdiction. The securities have not been and will not be registered under the United States Securities Act of 1933, as amended (the "U.S. Securities Act"), or any state securities laws and may not be offered or sold within the United States unless an exemption from such registration is available. 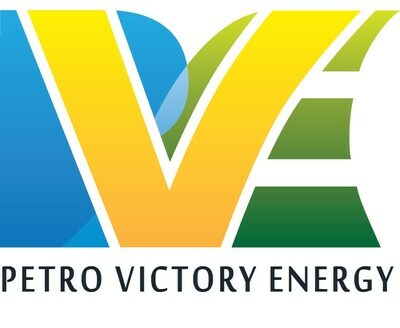 In the interest of providing Petro-Victory's shareholders and potential investors with information regarding Petro-Victory, including management's assessment of Petro-Victory's future plans and operations, certain statements in this press release are "forward-looking statements" within the meaning of the United States Private Securities Litigation Reform Act of 1995 and "forward-looking information" within the meaning of applicable Canadian securities legislation (collectively, "forward-looking statements"). In some cases, forward-looking statements can be identified by terminology such as "anticipate", "believe", "continue", "could", "estimate", "expect", "forecast", "intend", "may", "objective", "ongoing", "outlook", "potential", "project", "plan", "should", "target", "would", "will" or similar words suggesting future outcomes, events or performance. The forward-looking statements contained in this press release speak only as of the date thereof and are expressly qualified by this cautionary statement. The above summary of assumptions and risks related to forward-looking statements in this press release has been provided in order to provide shareholders and potential investors with a more complete perspective on Petro-Victory's current and future operations and such information may not be appropriate for other purposes. There is no representation by Petro-Victory that actual results achieved will be the same in whole or in part as those referenced in the forward-looking statements and Petro-Victory does not undertake any obligation to update publicly or to revise any of the included forward-looking statements, whether as a result of new information, future events or otherwise, except as may be required by applicable securities law.